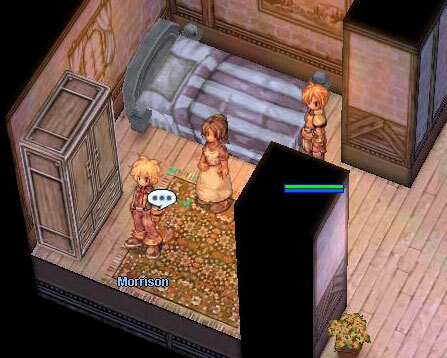 Inside East Prontera Inn, go upstair and walk all the way to the end. Talk to Morrison with the Meat in your inventory, when he ask you for meat, DO NOT give him meat, choose to ignore him. Then talk to his mom. After you ignore Morrison's request for the meat, she should thank you and tell you about the Juice Maker in Payon. 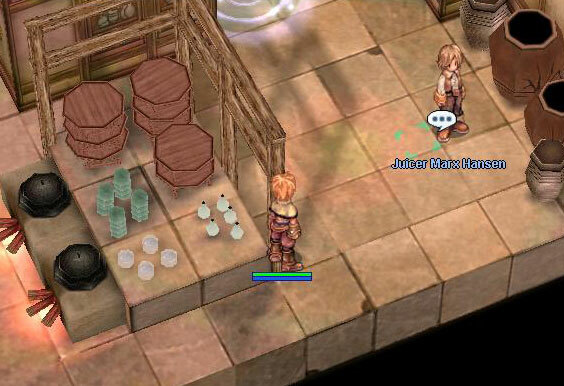 At this point the juice making NPC is activated for you. Inside the building marked above. Cost: Each juice made cost 3 zeny. Requirement: You must finish steps 1-2 of this quest with Morrison and Housewife Marianne otherwise you will not get the options to make juices.